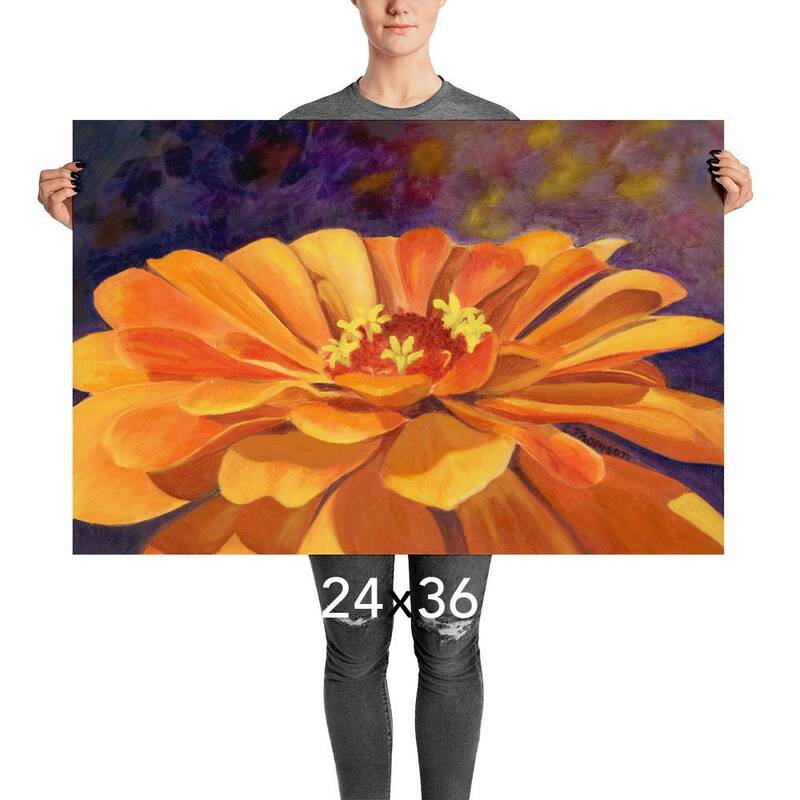 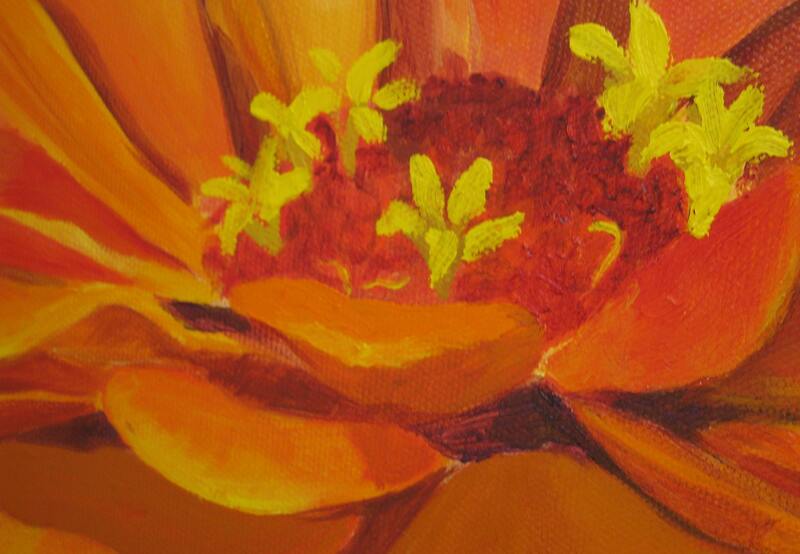 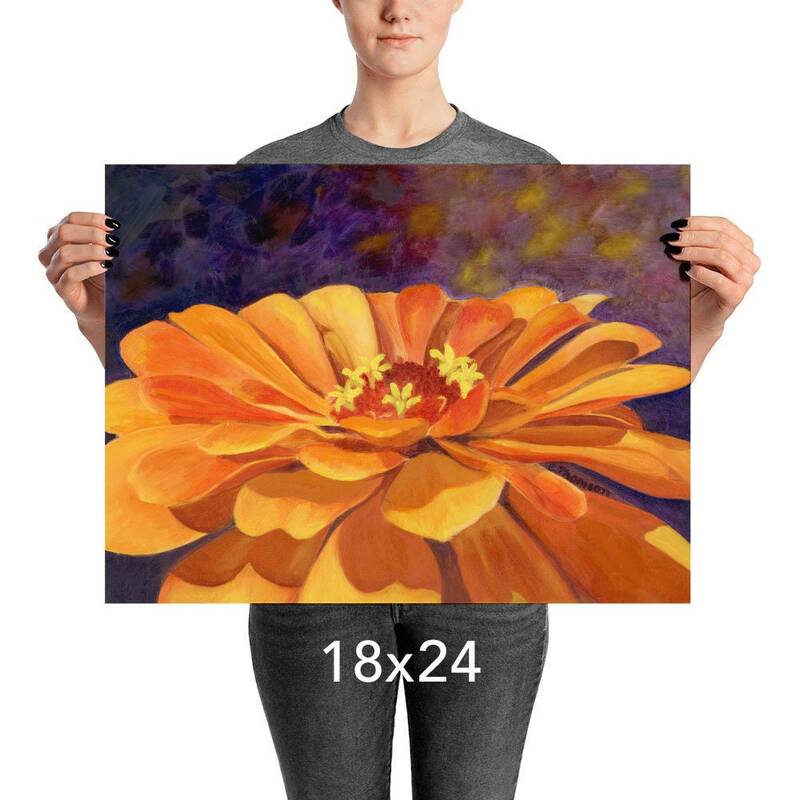 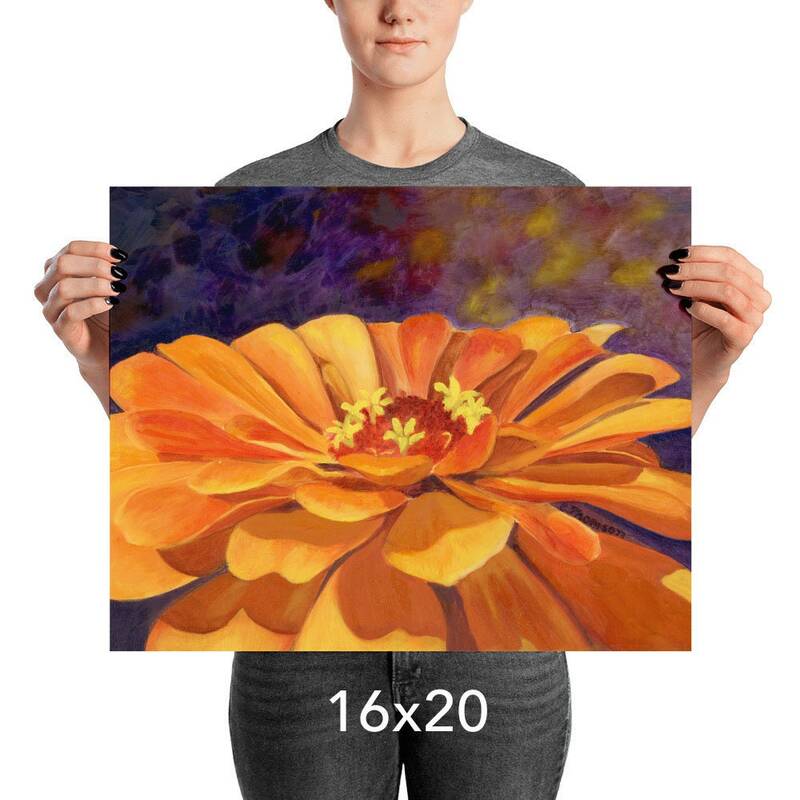 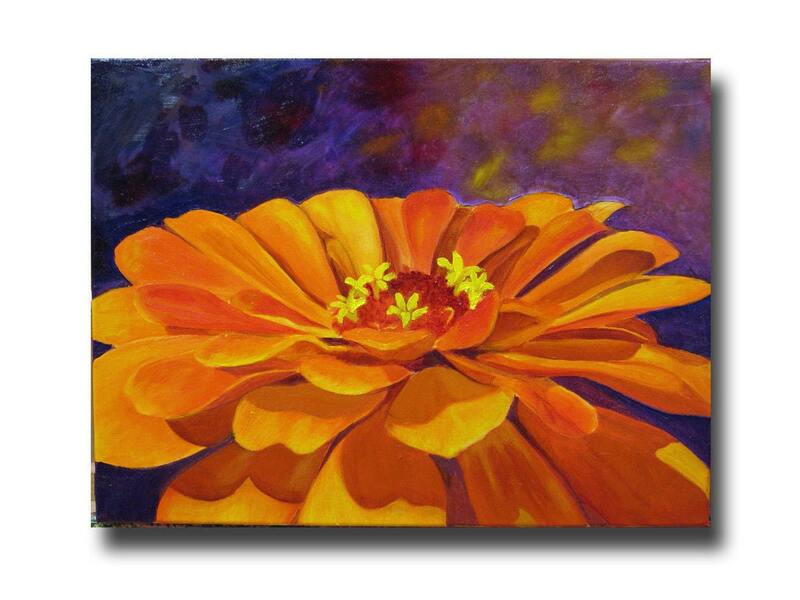 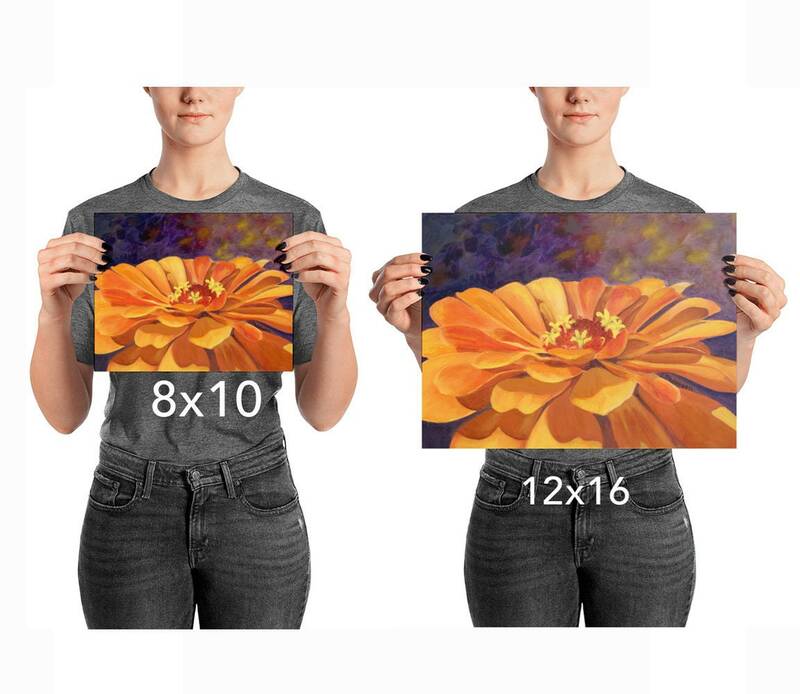 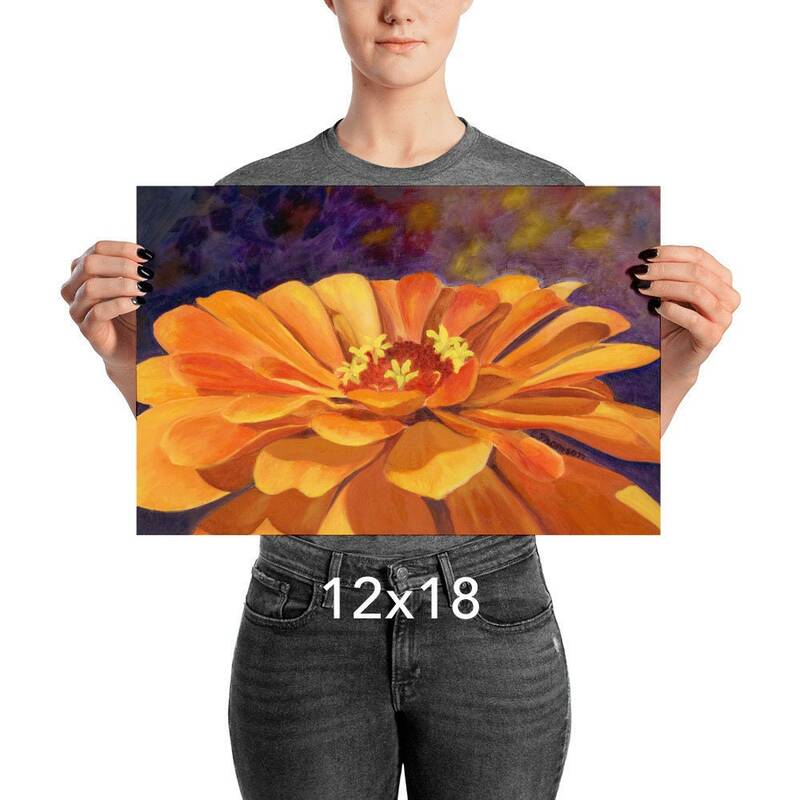 Art print, wall decor of a colorful painting of bright orange zinnia flower. 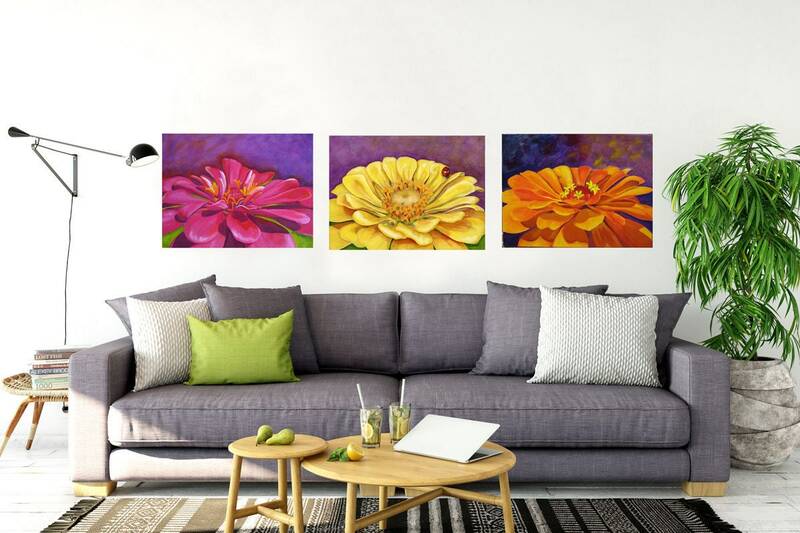 The bright and stunning colors of these paintings will bring the beauty of nature into your own home so that you will enjoy spring and summer flowers all year long. 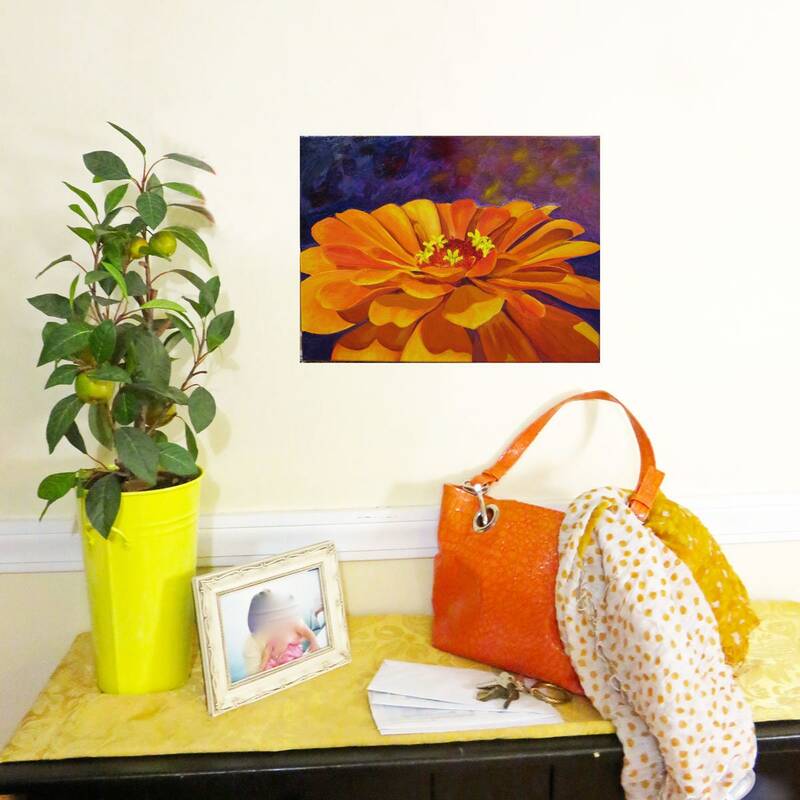 These stunning paintings will brighten any space and make an alluring addition to your home decor or office decor. 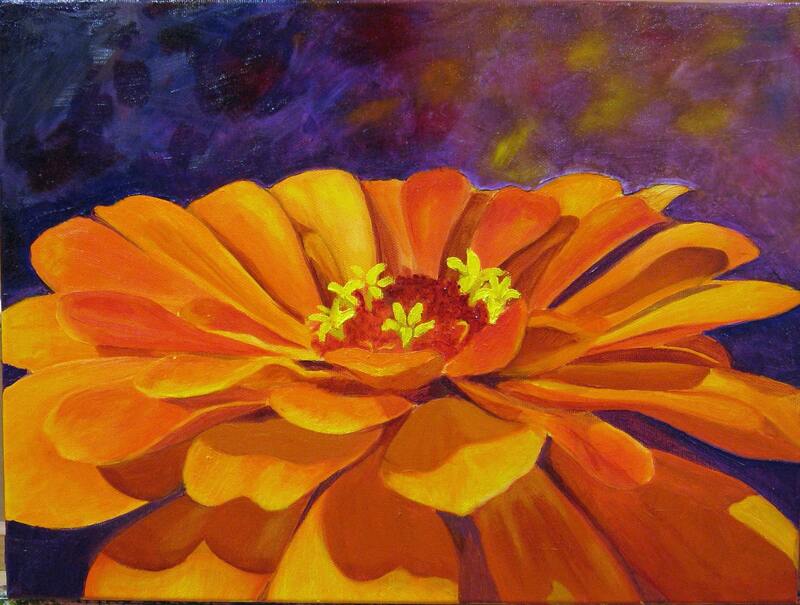 This is one in a series of three peony paintings that look stunning all hung together.